Lamar Kevin Sowell, 26, of Philadelphia. Abington Township police have arrested a suspect in last week's shooting of a popular convenience store clerk during an armed robbery. 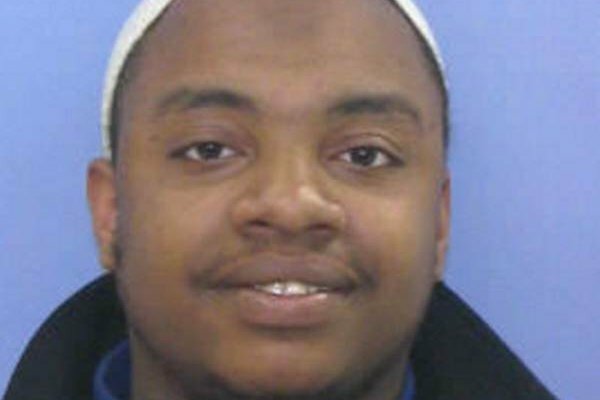 Lamar Kevin Sowell, 26, of Philadelphia, was taken into custody by city police, according to Abington police. He is charged with attempted homicide, four counts of robbery, firearms violations and other related charges and is currently awaiting his arraignment. According to police, Sowell allegedly shot a clerk overnight on Tuesday, April 5, at the 7-Eleven store at 2869 Limekiln Pike in the North Hills section of the township. The clerk, a resident of Willow Grove named Charles, had been working in a rear stockroom when he heard someone enter the store. He walked out to the storefront and encountered a black man holding a black handgun. The clerk attempted to knock the gun away from the suspect, police said. The suspect then shot the clerk in the leg, and the clerk fell to the floor, police said. The suspect then fired again at the victim and apparently missed, before fleeing the store. The clerk was taken to Abington Memorial Hospital for treatment of his injuries. Abington police subsequently issued two frames from surveillance video that night – one showing the suspect wearing a coat and mask, and another one showing a possible "witness," a black man wearing a blue "HENDRIX" T-shirt who was in the store just before the incident. Police asked for the public's help identifying both men. Police allege it was the second time Sowell robbed the 7-Eleven in North Hills. On Dec. 9, 2015, at 2:47 a.m., an armed man dressed the same robbed the store, police said. In addition, Abington police discovered that police in Cheltenham Township were investigating two other armed robberies where the suspect fit the same description. The 7-Eleven at 250 S. Easton Road in Cheltenham was robbed on Nov. 26, 2015, and the Sunoco Gas Station at 300 S. Easton Road was robbed on Dec. 2, 2015. Working with Cheltenham police, Abington investigators developed Sowell as a suspect. With continued assistance from Cheltenham police and the Montgomery County District Attorney’s Office, Abington police said they worked with Philadelphia police in the Northeast Detective Division to obtain search and seizure warrants for two addresses in Philadelphia where Sowell had been living and for the car he had been driving. During the execution of the search warrants at Sowell's property, authorities said they recovered the gun believed to be used and the “HENDRIX” shirt worn by the “witness” in the April 5 robbery. The community has rallied to support the clerk, and a beef-and-beer fundraiser is planned. One township resident, Heather Michelle Juel, started a Facebook page for the victim entitled "We love you Charlie." Dozens of residents and customers have commented on the page, wishing him a speedy recovery. "Charlie is one of the sweetest guys," Juel said. "Anyone who lives in the area or frequents that 7-11 know his warm smile. No matter how many people are in line he manages to look up and say hello." Said Amy Marie on the Facebook page: "Charlie, you're in our thoughts and prayers! Get well soon! My kids and I miss seeing your smile!! You're the best!" A Tuesday post from a family member said the clerk will begin therapy soon.